Abbreviated as “SEO”, it is the practice of modifying the content of your website in order to gain more visibility within search engine result pages (SERPs). Google, the largest of the current search engines, has over 200 variables that it considers when ranking a website so perfecting this process can be a very long and involved process. Furthermore, if your competitors are also investing resources into SEO then the marginal benefit per resource spent on SEO can be very high. We help companies assess their current online visibility and increase their online search rankings. Body Content Text: perhaps the most obvious, Google strongly favors web pages that have the keyword placed multiple times within the page’s text. Beware, however, that if the keyword shows up too frequently then Google’s algorithm may judge your website as too spammy and penalize your page rank as a result. The best rule of thumb is to write about the keywords and in a natural-sounding fashion that doesn’t force iteration of the keyword. Image Optimization: one of the first pieces of search engine optimization (SEO) that beginners learn is to include “alt” properties to their image tags. Additionally, many search engines will also look at the filenames, descriptions, and captions. Images also should be reasonably compressed in order to help with page load speed (another factor summarized later in this list). Keyword in Title: if your web page has page title tags (typically coded in the header area of the HTML file) then this is bound to boost your page rank for this keywords. In fact, this is the second most important factor for the page’s content, only behind the actual body of text on the page. Google gives additional clout to pages with titles that have the keyword toward the beginning of the title tags. Keyword in Heading Tags: heading tags (eg h1, h2, etc) help give your page more structure and are more legible for users. As a result Google favors websites that use header tags correctly and especially ones that include the keyword in the headers. Content Length: in general Google favors webpages with large amounts of content (written or image, etc), because these pages are likely to give more in-depth information about the keyword / subject. Studies have found that on average the first 3 results on Google tend to have almost 2500 written words on them. I hope you have a lot to write about your subject! Page Loading Speed: search engines have incentive to delivery pages that can load quickly and get the user to their destination quickly. When search engines crawl websites they measure the page loading time which affects a webpage’s page rank. Aside from search engine optimization (SEO) rankings, slow page loading time will also naturally cause users to leave the site and thereby decrease conversions and sales for the website owner. Duplicate Content: if you think you can copy and paste your content from one page to another without an SEO penalty, you are sorely mistaken. In order to prevent repetitive content, Google is sure to penalize websites that do not provide unique content for each of their web pages. This doesn’t mean that there should be no duplicate content, but it should be minimized. Perhaps more seriously, content blatantly copied & pasted from other sites can be harshly penalized and even involve legal action by the producer of the original content. Google’s “rel=canonical”, when used properly, can prevent Google from penalizing the content by indicating that the page does not intend to pass the content off as original. If a content writer is uncertain about the originality of their content, there are online plagiarism tools at their disposal. Broken Links: what good are links if they cause 404 errors (eg lead to nowhere)? Google Webmaster Tools specifically has a tool to warn webmasters of broken links so that they can be fixed. These issues are easily fixed, although website migration can sometimes cause headaches (that can be cured via 301 redirects). Keyword in URL: the presence of a keyword within the website’s domain or URL is a strong indicator that the webpage’s content must be related to the keyword. This is one reason that many web developers like to use permalinks and Model-View-Controller (MVC) systems to create their URL’s. Presence of a Sitemap: Google gives a small token of search engine optimization (SEO) gratitude to websites that give their Google search crawlers a helping hand indexing the website. Sitemaps, usually in XML format, list all relevant pages that the website owner wants indexed (which then can be shown in search results), and also allows the owner to block certain pages from being shown in search results. Site Uptime / Downtime: what good is a website to a user when the website is offline? Again, search engines have the incentive to push their users toward functioning websites so make sure that your website is hosted by a reputable company with low downtime. User Reviews & Site Reputation: services like Yelp, RipOffReport.com, and Facebook & Google+, are an indication of the trustworthiness of a website. Search engines have the incentive to direct their users toward websites that will give them a positive experience and hence take user reviews and feedback into account when ranking websites for search engine optimization (SEO) . Schema.org Microformats: ever wonder how certain search results how star ratings, product images, and article author information? This is due to specific microformat markup within the HTML. Although the task of adding in this code can at first be a daunting task, websites that will be producing content for chosen categories (eg recipes, articles, reviews, eCommerce products, etc) may find the process of automating the markup beneficial. In addition to helping page rank, the unique visual appearance of these search results stand out and are more likely to catch the users attention. Domain Registration Length: how long has your domain been registered for? It is generally thought that legitimate websites last a longer time at their domain, while scam websites quickly change from domain to domain in order to escape their shady past (and legal troubles, in some cases). Public vs. Private WhoIs Information: a simple WhoIs lookup on a domain or IP address can usually provide some information about the registrar and owner of a website. If much of this information is inconsistent or hidden, it is seen as a possibly disreputable site whereas consistent and public information is regarded by the algorithms as more legitimate. Additionally, if email service providers (ESP’s) have marked the domain as a spam-emailer then this will also hurt the domain’s page rank. This is an additional reason to make sure that the emailing system on your domain is not compromised (ie “spoofed“). Recency of Content Updates: it would stand to reason that a website that hasn’t had its contents updated recently is likely to have older and more out-of-date information. For this reason search engines take a look at when page content was changed (this information is also included in your sitemap) and judges your website & web pages accordingly. Users tend to prefer websites that have breaking news and report up-to-date information. Outbound Link Quality: while backlinks (links from other sites pointing toward your website) are constantly discussed, people often forget that outbound links (links from your website to other websites) are also factored into SEO algorithms. If your content includes a reasonable amount of outbound links, and those links are to reputable sites, search engines are more likely consider your website more reputable. Internal Links: links between different pages on your website help the user navigate your website more easily and search engines acknowledge this as improving the user experience. W3C Validation & HTML Errors: sites with more errors in their HTML syntax are more likely to have glitches that make the user experience more difficult. The Worldwide Web Consortium (W3C) offers an HTML validation tool for developers to check their work before making the website / webpage live. Embedded Video Format: YouTube is owned by Google, so guess which video-hosting service they prefer? We cannot comment on the other search engines but Google’s familiarity with YouTube results in preferential SEO treatment to websites using YouTube-embedded videos. Google Analytics & Webmaster Tools: it is thought by some that, because these applications share extra data with Google, that setting up your website with these two tools will help improve your website’s visibility within Google’s search engine results pages. 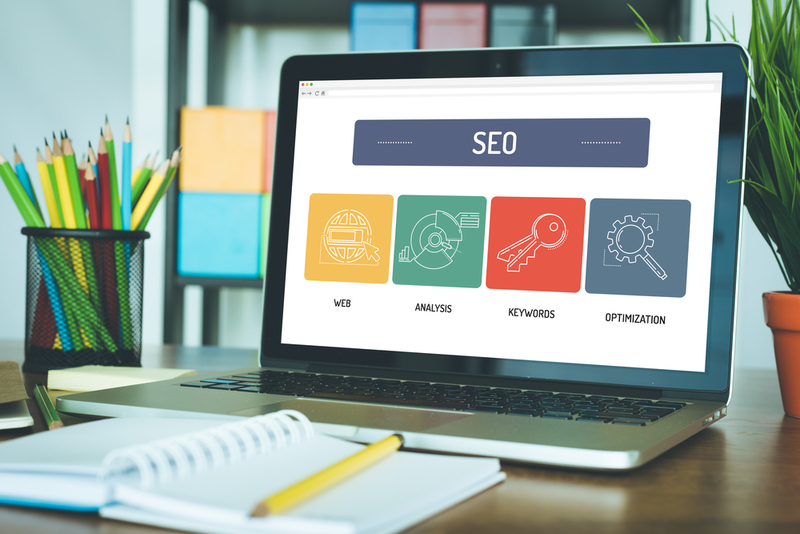 Aside from SEO purposes, these tools are also vital to webmasters and website owners when it comes to recognizing flaws and making improvements to your website in general. Looking to ramp up your SEO?